The world’s largest filled single-dish radio telescope launched at the weekend, and it relies on a piece of West Australian innovation. 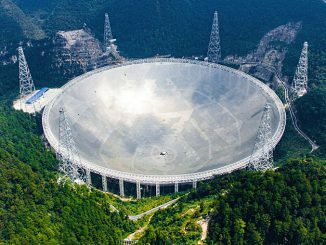 The 500-metre-wide telescope — known as FAST — uses a data system developed at the International Centre for Radio Astronomy in Perth and the European Southern Observatory to manage the huge amounts of data it generates. 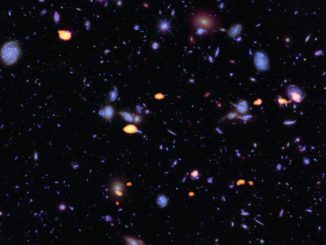 International teams of astronomers have used the Atacama Large Millimeter/submillimeter Array (ALMA) to explore the distant corner of the universe first revealed in the iconic images of the Hubble Ultra Deep Field (HUDF). These new ALMA observations are significantly deeper and sharper than previous surveys at millimetre wavelengths. About 250 million light-years away, there’s a neighbourhood of our universe that astronomers had considered quiet and unremarkable. 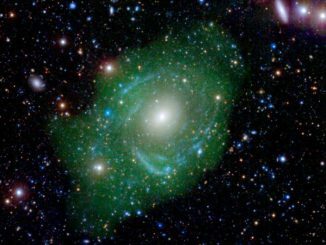 But now, scientists have uncovered an enormous, bizarre galaxy possibly formed from the parts of other galaxies. Some 718,000 light-years across, UGC 1382 is more than seven times wider than the Milky Way. Observations with the National Science Foundation’s Very Large Array (VLA) have given astronomers an unprecedented look into the atmosphere of Jupiter. 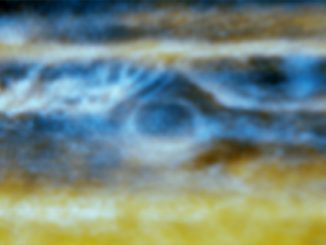 The scientists used the VLA to study the dynamics of Jupiter’s atmosphere from the visible cloud surfaces down to about 60 miles (100 kilometres) below the clouds. 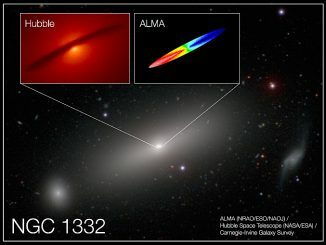 Using the Atacama Large Millimetre/submillimetre Array (ALMA), a team of astronomers has delved remarkably deep into the heart of a nearby elliptical galaxy to study the motion of a disc of gas encircling the supermassive black hole at its centre. These observations provide one of the most accurate mass measurements to date for a black hole outside of our galaxy. 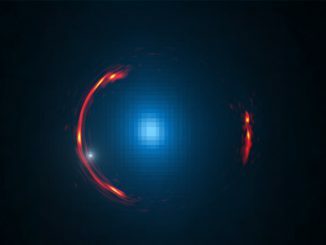 Subtle distortions hidden in a stunning Atacama Large Millimetre/submillimetre Array (ALMA) image of the gravitational lens SDP.81 are telltale signs that a dwarf dark galaxy is lurking in the halo of a much larger galaxy nearly 4 billion light-years away. This discovery could help astronomers address important questions on the nature of dark matter. Discs of dust and gas that surround young stars are the formation sites of planets. New images from the Atacama Large Millimetre/submillimetre Array (ALMA) reveal never-before-seen details in the planet-forming disc around a nearby Sun-like star, including a tantalising gap at the same distance from the star as the Earth is from the Sun. 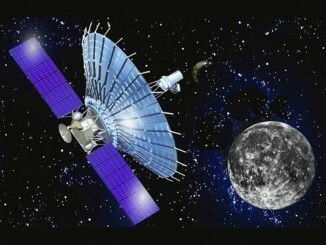 Astronomers using an orbiting radio telescope in conjunction with four ground-based radio telescopes have achieved the highest resolution, or ability to discern fine detail, of any astronomical observation ever made. The researchers were surprised when their Earth-space system revealed a core temperature hotter than 10 trillion degrees for quasar 3C 273. 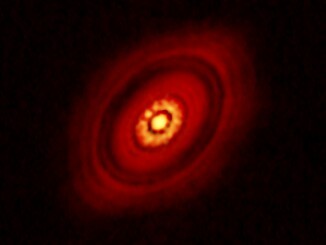 New images of a young star called HL Tauri made with the Karl G. Jansky Very Large Array (VLA) reveal what scientists think may be the very earliest stages in the formation of planets. 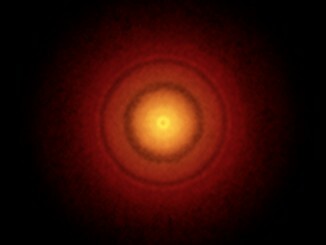 The scientists used the VLA to see unprecedented detail of the inner portion of a dusty disc surrounding the star, some 450 light-years from Earth. 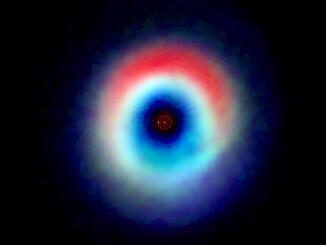 To better understand how planets in binary star systems form and evolve, astronomers using the Atacama Large Millimetre/submillimetre Array (ALMA) took a new, detailed look at the planet-forming disc around HD 142527, a binary star about 450 light-years from Earth in a cluster of young stars known as the Scorpius-Centaurus Association.